LIPSINDIA is a premium Digital Marketing Training destination in Mumbai providing most exhaustive digital marketing course curriculum with 5000+trained digital marketers and Success stories. Our course structure offers hands-on practical learning on all the channels of digital marketing likeSearch Engine Optimisation, Social Media Marketing, Google Adwords - PPC, Display Marketing, E-mail Marketing, Ad-server, Affiliate Marketing, Mobile Marketing, Analytics and other tools. You get to learn all of it from industry experts. We offer Digital marketing course in Mumbai through classroom training program with weekday and weekend training option. Our Advanced Digital marketing course curriculum gives you right mix of practical knowledge and You can work for any digital marketing agencies, internet marketing teams of business setups, start your own website and run business, work as a freelancer or be a part of the web marketing outsourcing industry. LIPSINDIA recruitment team would be responsible for ensuring that everyone who undergoes our training program gets sufficient job interview opportunities. For all those who have attended any digital marketing course from any other Digital Marketing Institute in Mumbai and have been unsatisfied with it, you can enroll with our program at 50% of the course fees or get a discount equivalent to your course fees (which ever is lesser). You will need to carry your fees receipt to avail this offer, Kindly contact LIPS Team to know all details you need to provide to claim this offer. Merchant center creation,Data feed creation,Merchant center adwords linking,Shopping ad creation. Existing Web Content Optimization, Image Optimization, Use of robots.txt, HTML Validation, Creation of XML/HTML/Text Sitemaps. Twitter- Understanding twitter for business, Page creation hashtags, discover, cards, strategies to add followers, Marketing and tools, Analytics. Youtube- Channel creation, video promotion, increase viewership, annotations, cards. Mail Chimp Introduction- Sending mail, use templates, landing pages, lead capturing, Mail Automation. Multi channel funnels, conversion sources, goal analysis, Understanding customer demographic and behavioural aspects. Mobile app promotions, Techniques to improve downloads and usage. Understand affiliate network, Selling through affiliate channel, Revenue generation affiliate marketing. Digital Marketing Course would be beneficial for – Fresher Graduates / Fresher Post Graduates / Final year marketing postgraduates who have not yet found a campus job. Stuck in door to door sales job / Working professional / Entrepreneurs / business owners – intending to ride the growing job opportunities / business opportunities in internet marketing , digital marketing and social media. A must gain skill for Entrepreneurs, as it gives them enough understanding on their spend. Unlimited Server Space For Wordpress Website Creation and Learning, Free Access to paid Website creation tools. Adwords spend and Facebook spend for for every group of three. Access to live Google Adwords data set. Our Trainers support for any problems faced in real time stays with you always even after the completion of the course. Every digital marketing batch gets to create a real time live campaign on Google Adwords. No Other institute offers such kind of spend. This ensures our students have confidence in creating live adwords campaigns. Unlike other institute where trainers have just worked as agencies and have no clue on revenue side , At LIPSINDIA our digital marketing trainers having worked for real business have sufficient exposure to revenue side and hence carry the most unique exposure of what the industry expects. Our students have access to paid email platforms to learn email automation. While sending emailer through bulk mailing platforms is no great shakes, however email automation , driving sales through inbound marketing is the need of hour. LIPSINDIA Facebook, Instagram and Twitter Ad campaigns are managed by students in the live classroom. 7+ Years of combined work experience as an Engineer and a Digital Marketer. With Qualifications such as B.E and MBA, I have had opportunities to work for some well-established organizations such as Carwale, Nash Robotics and start-ups such as Aasaanjobs and Hunarr. Most recently worked as a Marketing Head for Olive Twig Infosolutions. Currently acting as a Consultant for startups such as Easy Wedding. Shekhar expertise in the strategizing, Planning and implementation of digital marketing plans and campaigns with 6+ years of experience in Digital Marketing. Have worked with companies like Naaptol.com, Quikr.com and currently managing Paid Marketing, Branding & Online Lead Generation Campaigns for Motilal Oswal Securities Limited. Shekhar is Google Adwords, Google Analytic and Hubspot certified individual. An MBA from IIM Lucknow, with 10+ years of experience across the Financial Services, FMCG, and Education industries and have Handled digital marketing budgets of INR 25 lacs+ per month. Worked with 4 early stage start-ups, 2 of which I co-founded. Last stint as Business Head with Paisabazaar.com, India’s largest online marketplace for personal finance products and services. What is the scope of homemakers on sabbatical post completion of this digital marketing course? Digital marketing does not necessarily need physical presence at office premises for implementaion. Remote opportunitiesin digital marketing is always in the offing. However you need to have excellent understanding of digital marketing and great skills to attract attention of potential recuiters in Mumbai or worldwide to offer you to work from home or part time. Having said that there is enough opportunity in the neighbourhood for digital mareketers since every small and medium business in Mumbai todays needs a Digital marketer. Will I be able to successfully manage online marketing for any organisation ? We could be one of the exceptional digital marketing institute in Mumbai with a very strong focus on learning live implemenations rather just global / strategic Gyan. The entire digital marketing training has been built around real time implemenation. Every student gets to create live Google adwords camapign, live social media campaigns, live website creation with an access to real server. LIPSINDIA social media campaigns are created by students in classroom. All our digital marketing students have an access to live Google Search Console and Google Analytics data. Our digital marketing students have an access to paid content creation tool, paid SEO tools for perfect understanding of they work. What is an Eligibility criterion for Digital Marketing course to Shine As a Digital Marketer? For us ideal candidate is one who has basic understanding about Marketing and Internet. Wherein words like brand, customer retention and behavior, analysis, sales cycle, ROI etc should not be alien to you. To get the right essence of this digital marketing course you should have a decent command over language, penchant for latest in trends and quick learner. Digital Marketing Course would be beneficial for – Fresher Graduates / Fresher Post Graduates / Final year marketing postgraduates who have not yet found a campus job. Working professional / Entrepreneurs / business owners – intending to ride the growing job opportunities / business opportunities in Internet marketing, digital marketing and social media. A must gain skill for Entrepreneurs, as it gives them enough understanding on their spend. How LIPSINDIA is different from other Digital marketing Institute who provides Digital Marketing courses in Mumbai? At LIPSINDIA our team would never make false promises with respect to course content, placement assistance, trainers and any query that has to do with admissions. LIPSINDIA boasts of running one of the most comprehensive and detailed Internet marketing course compared to all available digital marketing courses offered by other digital marketing institutes. Besides our trainers are extremely qualified in terms of pedagogy and rich experience which reflects in every successful students from LIPSINDIA. 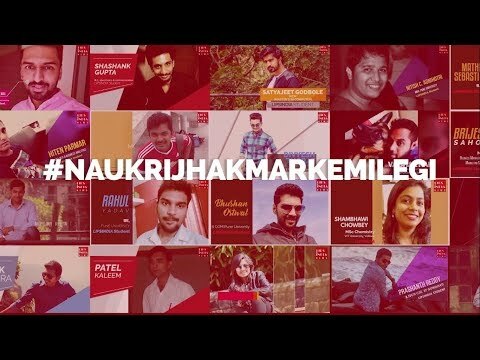 What all locations you have for Digital Marketing Training in Mumbai? We Provide Digital marketing course training in Mumbai at 3 Locations – Borivali West, Andheri West and Thane West, all these locations are near Station. Curriculum and Training methodology at all the Locations are same so choose the location nearby you in Mumbai. What other certifications can be availed by Students post completion of Digital marketing course? Bing is one more such certification. There are more certifications which one can go for but are paid like Facebook Blueprint, Hootsuite and HubSpot. What are placement records for LIPSINDIA Digital marketing training Institute Mumbai? We Help Nurture Career And Business by delivering right mix of Knowledge and practical approach! LIPSINDIA alumni includes Entrepreneurs, Business owners / Working professional / Fresher Graduates / Fresher Post Graduates who want to gain Digital marketing knowledge to be applied for their business, skill enhancement. While all of our students don’t look onto us for Placement, You can checkout LIPSINDIA Digital Marketing Success Story!